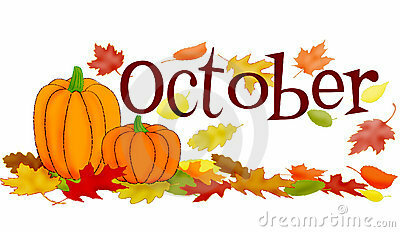 Alright, so I am making this post because October is going to be a crazy busy month for me and I am so excited! 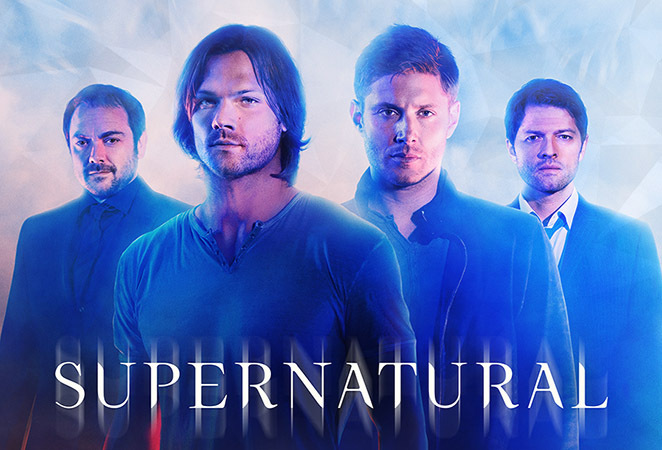 First, I will be going to Torcon which is the Supernatural convention in Toronto! I will be blogging about my weekend on jcarsonreviews and I am incredibly excited about this. I love Supernatural, I’ve gone to the convention for the past couple years, but only for one day so this will be my first time going for the whole weekend. If you or anyone you know is going, let me know because that would be amazing! More on the topic of Supernatural. 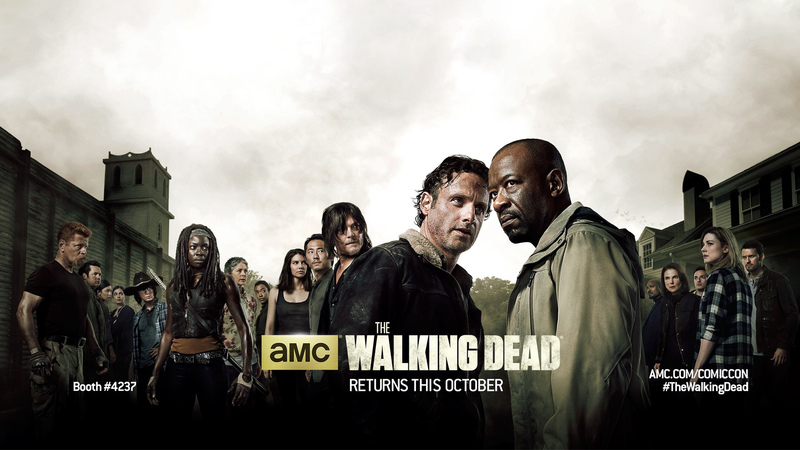 Season eleven premiers on the seventh of October and I will be starting to review the show and I am definitely looking forward to it. I’ve been really invested in the show since high school so it’s going to be great getting to share what I think of each episode with so many other people. Finally, the last Supernatural related thing and something I am really excited about is that I will be reaching the one hundredth chapter in my Supernatural fanfiction! 100 chapters! This is the longest fic I’ve written thus far and I am so incredibly happy with it. To celebrate, I will be counting down my top eleven (because they’re on season eleven) favourite episodes of the show over on jcarsonreviews! But that’s not the only countdown I’ll be doing next month! Starting on the first, over on jcarsonreviews (it’s a really busy month over there), I’ll be counting down my top ten favourite episodes of The Walking Dead. This is all leading up to the season six premier (which I will be reviewing) on the eleventh! Now The Walking Dead returning may not seem like announcement worthy stuff, but I have literally been on the edge of my seat waiting for season six so it has to be celebrated! Also! The Amazing Book Is Not On Fire is coming out next month! What is TABINOF? 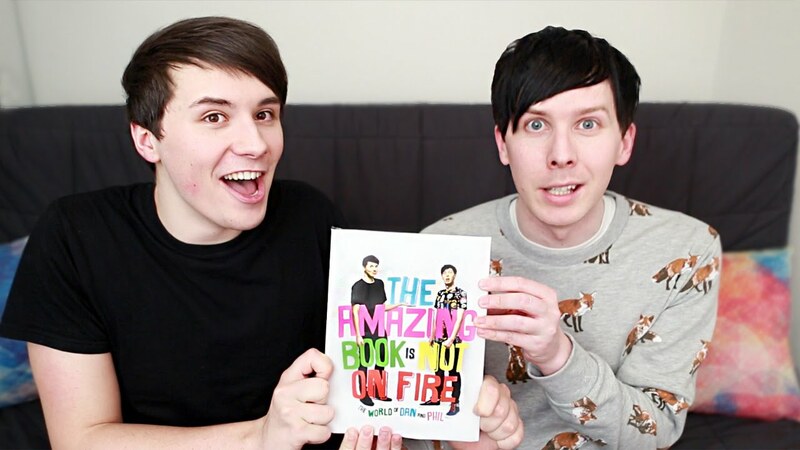 It’s the book written by the one and only Dan and Phil! Dan and Phil are two Youtubers (you can find them on danisnotonfire and AmazingPhil respectively) I have been watching since I was in high school. I am a major fan of both of them and they’ve actually been a huge inspiration in a lot of the things I do. I think the only other time I was this excited for a book was when Harry Potter and the Deathly Hallows was being released. I remember exactly where I was and what time it was when Dan and Phil released the trailer announcing their book. I got home a couple hours later and preordered my copy online. Now, after months of waiting, it’s almost here. I will definitely be talking about this book on this blog, probably multiple times because I’m so excited for it and I’m so proud of Dan and Phil for writing it and everything else they’ve done. All these things are so very exciting! And while majority of the things on this blog will be remaining the same, all these things did have particular influence over one weekly thing I do: Names of the Week. This month the names will be those of Youtubers, characters from The Walking Dead, and actors/characters from Supernatural. Normally I only post five names each week, but October knows no bounds and some weeks there’s definitely more than five names. So much is happening in October! When filling out my calendar and writing my lists of things to do, it looks slightly intimidating and yet also exhilarating. While it looks like a lot of work, it’s writing and it’s writing about things I love so I can’t wait for October to get here so I can celebrate all these amazing things with all of you! Thank you so much for sticking with me so far and I look forward to celebrating what definitely looks to be a wonderful October with you! Oh boy, I thought Friday was amazing and then I went back to Fan Expo on Sunday. Insane! Best day of my life. 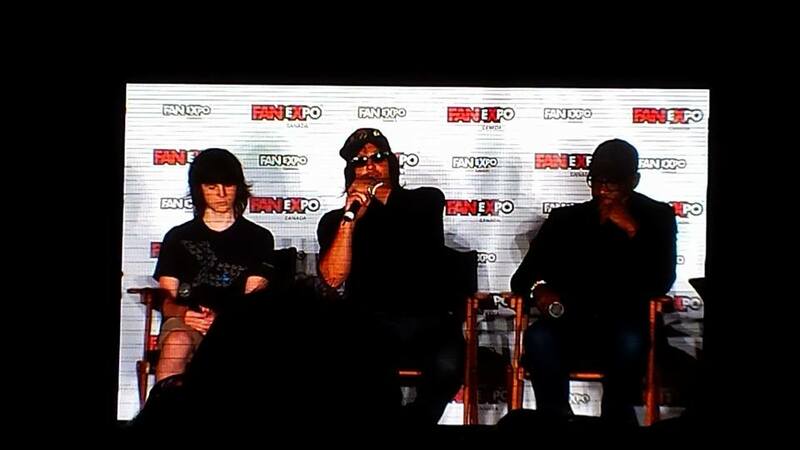 The first panel I went to on Sunday was The Walking Dead panel with Norman Reedus, Chandler Riggs, and Lennie James. I was in the same room as Norman Reedus, Chandler Riggs, and Lennie James. What. I showed up early that morning and was glad I did because I got to the room the panel was going to be in just shortly after 10am (the panel was at 11) and it was already packed! One nice volunteer helped me find a seat (right smack in the middle of a huge group of people, that was fantastic). However, once they came out it didn’t matter where I was sitting. There they were. Three cast members of The Walking Dead. It was like the heavens had opened up and angels were singing. To some people that might sound stupid, but keep in mind I only bought my ticket a week before this all happened. So literally a week before the idea of seeing the cast of Walking Dead live was just a far off “off day” dream for when I could hopefully afford it. The panel was amazing. From the sounds of it there’s lots of exciting things to look forward to in season six as pretty much every answer Chandler gave was that we’d have to wait for season six. 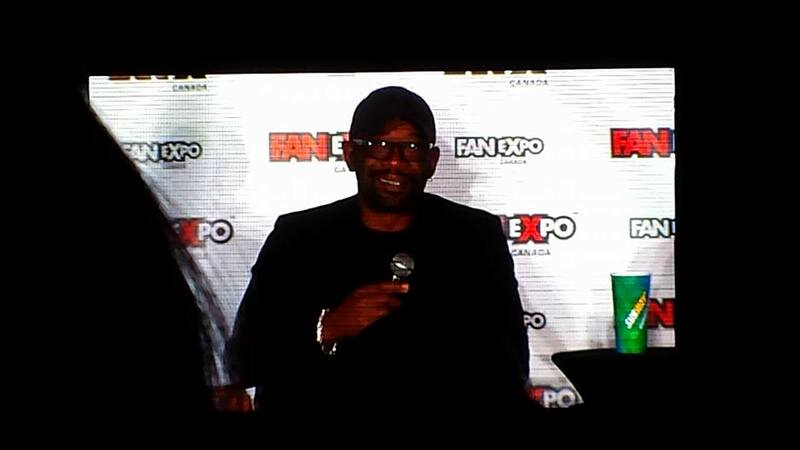 Lennie James couldn’t say too much about his character as obviously we’ve only seen him a handful of times so far, but he did say we’d probably get to see how his character went from the crazy guy we saw in season three to the zen master he is now. 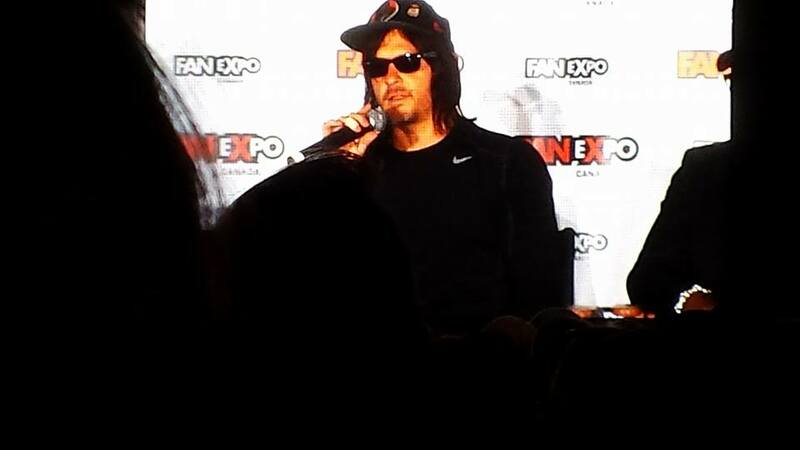 Norman Reedus described season six as being like “season one on Viagra”. From anyone else I think that might have sounded weird, but from him it was just hilarious. All three guys were so polite and funny throughout the panel, answering each question as best they could without spoiling anything. It was so great and I’m so glad I decided to go. 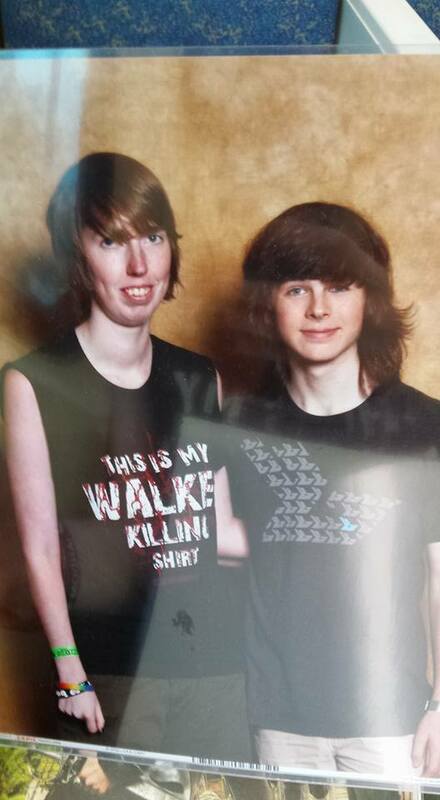 I’m also glad I decided to buy a photo op with Chandler Riggs which I went to right after the panel. Since I’d already bought a couple things on Friday I hadn’t planned on really buying anything on Sunday. Maybe I’d get the Murphy McManus Pop Vinyl so I’d have both twins, but then I made a spur of the moment decision that morning before leaving for the train. I bought a photo with Chandler and it was both terrifying and amazing and I couldn’t stop shaking. He was so polite and he thanked everyone for coming and it was one of the most amazing moments of my life. From that photo op I went to a panel called “How Fanfiction is Taking Over the World” which was hosted by Wattpad. This was so awesome because I’m a huge fanfiction writer as many of you know so it was cool to see a panel of people who have written or currently write fanfiction. It was also really cool to meet other fanfiction writers and hear about what they write and how they got into it. I loved it because I don’t know a ton of people in real life who write fanfiction. I know a couple who have written a couple things, but no one who writes a lot like I do so meeting fellow fanfic writers was fantastic! Once the panel was over I actually got to hang out with one of the girls I had met at the panel and we wandered around in the vendors area in the South Building which, until she brought me there, I didn’t know it existed. Yes, I’ll definitely remember that for next year instead of attempting to figure out my map. We eventually went our separate ways as I had another photo op to get to and this is where I have a story. 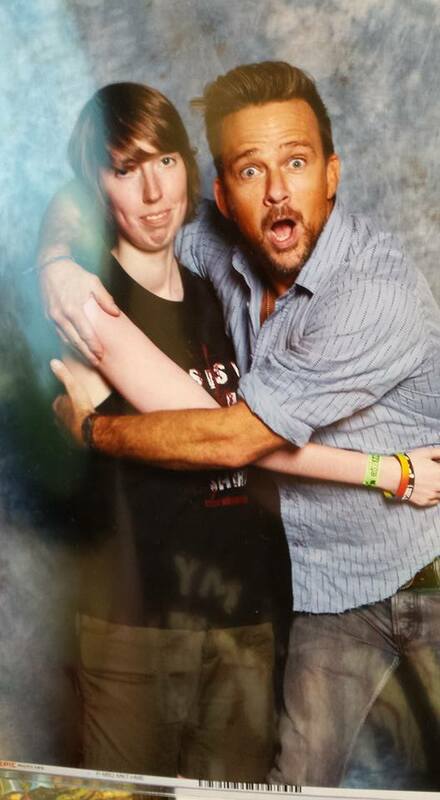 I bought a photo with Sean Patrick Flanery. I’m a huge fan of his, I love Boondock Saints, he was great in Criminal Minds and I have a ton of other movies he’s done. Needless to say, I was incredibly nervous to actually meet him. I’m standing in line and the closer I get to the curtained off area the more I start shaking. I am mere minutes, seconds, from meeting Sean Patrick Flanery. This was terrifying for me! It had been several hours and I still hadn’t recovered from meeting Chandler so the fact that I was about to meet SPF just sort of hit me all at once like a train. Closer and closer, there’s now only a couple people in front of me. I finally make it to the curtained area with only one person in front of me and the fact that he’s mere feet from where I’m standing is now making me shake harder. Then I look just slightly to the right and who is standing there? Norman Freakin’ Reedus. Really?! I’m going to assume if you’re reading this then you’re laughing cause that’s what everyone I know did when I told them. I was already beyond nervous to meet Sean Patrick Flanery\ and then Norman Reedus is just chilling about three feet away. Yeah, I forgot how to function. To make it even worse (better) SPF was hugging everyone he took a picture with. I was prepared for the arm around thing, I can do that. Me and hugging in general is a struggle so this just increased inability to function. Also, I’m so glad these are the first two pictures of myself that I’ve ever shared on this blog. Nothing normal or professional looking, but two times in one day where I was nerding out so hard and forgot how to function properly. So yes, I thought I was close to The Walking Dead cast that morning and then that happened. It was wonderful and scary and wonderful and amazing and scary. Honestly though I had a fantastic time at Fan Expo Sunday. Best. Day. Ever. There will be other conventions I go to and other photos I’ll buy despite not really being able to afford things, but nothing like this. Nothing will ever be like this. 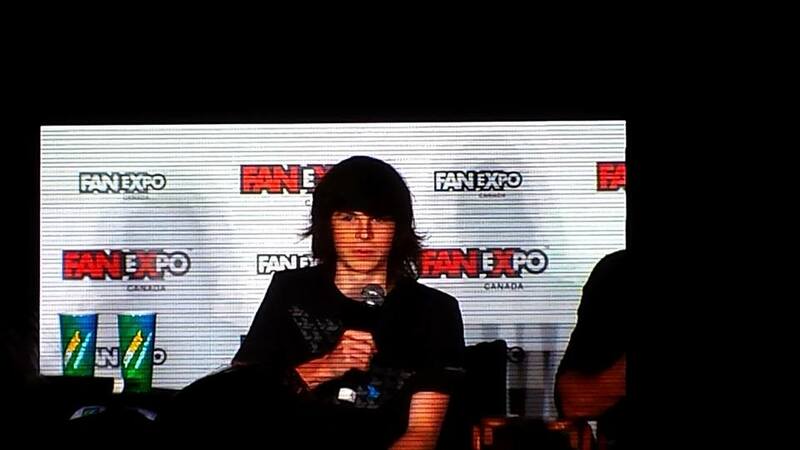 Thank you to all the people who run Fan Expo and to all the celebrities who attend! We all appreciate it very much and it definitely made it the best day of my life! It’s definitely made me want to go again next year! I had been wanting to read The Walking Dead comics for ages. I’m a huge fan of the show so when I found out my local library had all the books I’ve pretty much been reading them nonstop. And are they ever different from the show! I already knew about a lot of stuff that happens in the comics through the magic of the internet so I knew that there would be a lot of differences. However, I wasn’t quite prepared for some of them. For instance, Lori’s death. Totally different from the book to the show! In the show, she dies giving birth to Judith (who lives) and Carl has to shoot her in the head to make sure she doesn’t come back. In the comics, she dies during The Governor’s attack and when she falls she crushes Judith to death. I knew this was coming because I read about it online, but it was still a bit of a shock when it happened. A lot of people have talked about why they didn’t do this on the show and instead kept Judith the “Walker Car Alarm”. Even though the show can get pretty graphic and horrific, I’m not sure they could actually show a baby (even a fake one) being crushed to death under it’s dead mother. Now she’s a toddler though so I’m not even sure Judith is safe. Something I really wasn’t prepared for in the comics was Carol. I love Carol in the show, she is absolutely one of my favorite characters and she is so badass. 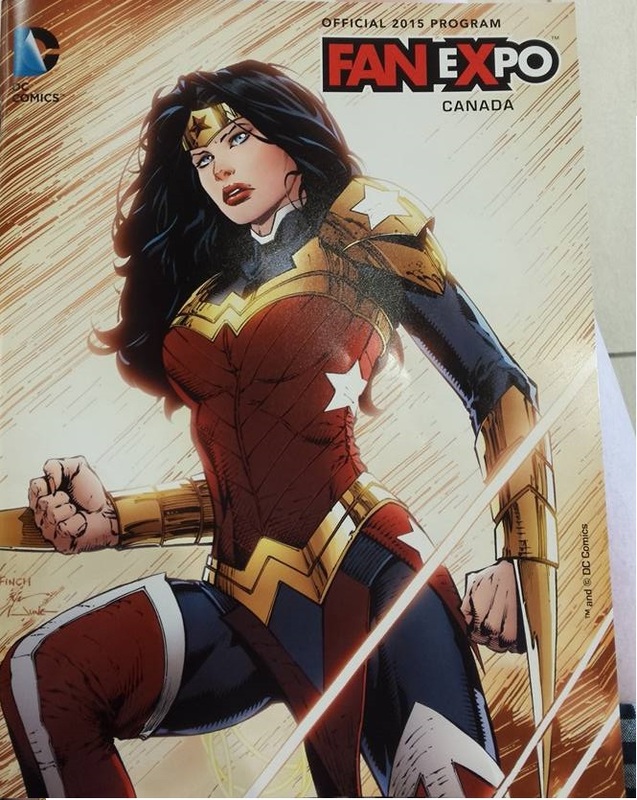 In the comics however, she is… something else. First she gets together with Tyreese, then when they break up she starts hitting on Lori… and Rick… and Lori and Rick together. No really. She suggested the three of them get together and raise Carl and Sophia and the baby as a trio. This is just one of the many things she does in these books that I found kind of strange. But really, all the characters in the novels are a little strange. I’m currently reading book five which has issues nine and ten. I know I have a lot more to go and I’m definitely going to read them because they are enjoyable. But, and this is probably the unpopular opinion, I do enjoy the show more. Don’t get me wrong, I like both, but I feel like I can get more invested in the show. When I watch the show, I watch it for hours and I feel like I get to know the characters. Then, when a character dies, I feel something about it. If it’s a character I liked then I’m sad, if it’s a character I didn’t like then I’m glad they’re gone. But I can finish one of the books in a couple hours and when a character dies, then that’s it, I turn the page and they’re gone. I turn the page and they’re just not being drawn anymore. I just feel like, with The Walking Dead comics, I don’t really have time to become invested in these characters like I do in the show or like I would with other comics I’ve read where the characters are in hundreds of issues. However, that is not to say these aren’t amazing. They are. They’re different from anything I’ve read before and, while I prefer the show, I am thoroughly enjoying them and am excited to keep reading. Have you read The Walking Dead comics? What did you think? So a couple months ago I started a second side blog creatively named “jcarsonrants”. I post an array of stuff there, so far I’ve got a couple opinion rants, a couple posts about things happening in the world, and I’ve recently started reviewing episodes of shows I watch. I’ll admit that I kind of jumped into the second blog without much planning which was probably a bad idea on my part. However, I’m starting to get the hang of it and talking about shows I like has definitely helped. If you’re interested in checking it out you find my other blog here. I will be changing the name of it when I can think of something that better captures what the blog is about. Originally it was going to be me ranting about things I cared about and wanted to talk about. It’s still going to include those things, but will also really just be me talking about anything I like. If you have any suggestions for a new name let me know! Thanks!